With all of the “secret” Trump supporters lately, I have begun to fear that he might win the popular vote in November, but lose the presidency in the Electoral College. This has happened four times in the history of the United States. In Bush verses Gore in 2000, over a half million more people cast their ballots for Senator Gore, than for George W. Bush. When the loss of Florida’s electoral votes tipped the balance towards Bush, Al Gore graciously conceded. This is not something I expect Donald Trump to do. Nor do I expect the Republicans to support the process and be cooperative with our first woman president. It should be noted, here, that in each of the four previous occasions that the new president has lost the popular vote, the Democratic candidate has lost the electoral vote. If the reverse happens, and a Democrat, Hillary Clinton, wins the popular vote but fails to have the majority in the Electoral College, then she will for the fifth time, graciously hand the presidency over to the less popular man. Why? Because process matters. The constitution that guides our regular and predicable transfer of office, is more important than any one election. In 1824, the constitution was only 40 years old when a distant ancestor of mine, John Quincy Adams, ran for president under the Democratic-republican party. Yes, back then the two parties were united. Not for long. None of the four candidates who were running distinguished themselves in the primary season, so the party let all four candidates go to the election (Bernie Sanders supporters take note). Andrew Jackson won the popular vote by 38,000. My relative John Quincy Adams had more electoral votes, but not the majority, and could not clinch the election. The constitution says that in these cases, the congress shall determine the outcome. John Quincy Adams was named our sixth president. Jackson went on to lead the Democrats out and form them into a separate party. Four years later he was successful in defeating the unpopular Adams (where is Al Gore when we need him?). The point of this all, is that process matters. The constitution was still a young document when these things took place — an experiment that could have ended disastrously if the populists had ruled. This leads me back to the church and other non-profit organizations. When leading a group of people, it is always important that you agree upon the process for making a decision before the vote is taken. Sometimes, the best process does not involve taking a vote, but rather, having an extended period of discernment. With our Christian dependence upon the Holy Spirit, we should work towards consensus whenever possible. Political analogies and sports metaphors fail at this point. We who imitate Jesus respect dialogue and open discussion. 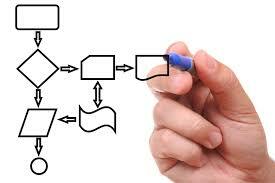 We honor process, even when it is messy and time consuming. Our way, is not always the way of the world.